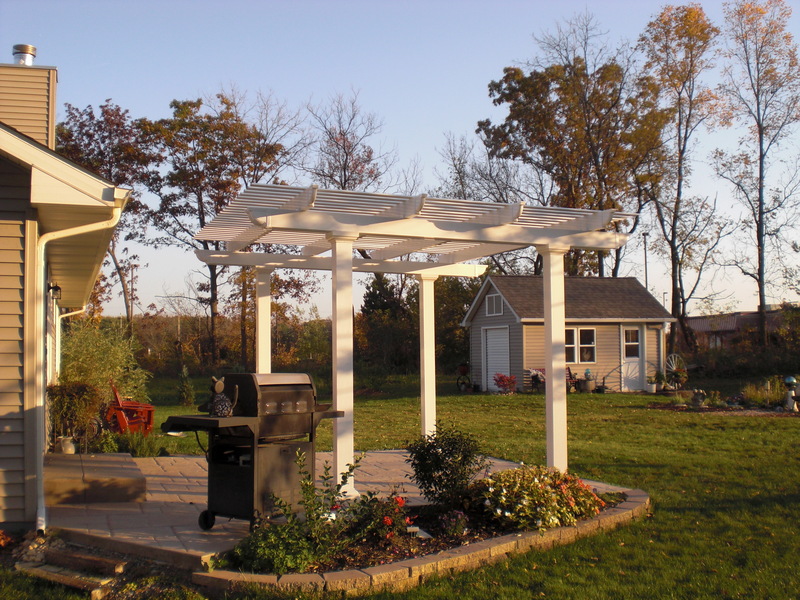 Aluminum pergolas offer durability and are virtually maintenance free. 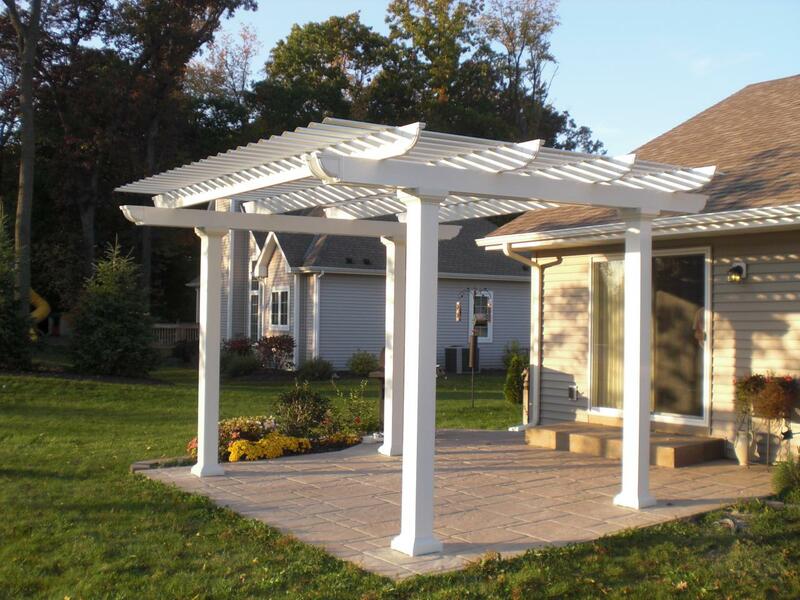 They are available in two different colors and can be installed free standing or attaced to your house. Also, they come with a manufacturers limited lifetime warranty.